Even before the two presidential nominating conventions, July was on pace to be a very busy news month with police attacks in Dallas and Baton Rouge, an attempted coup in Turkey and terror attacks in France and Germany. For adults 25-54, CNN was the go-to network for all of that news. Not only did CNN defeat its cable news rivals this past month in the key news demo, but it also grew 204 percent in total prime time viewers and grew 219 percent in the news demo from July 2015, per Nielsen Live+SD data. In addition to the more than 200 percent year-over-year growth in prime time, CNN was the second most-watched cable network for July and the No. 5 prime time cable network in A25-54. 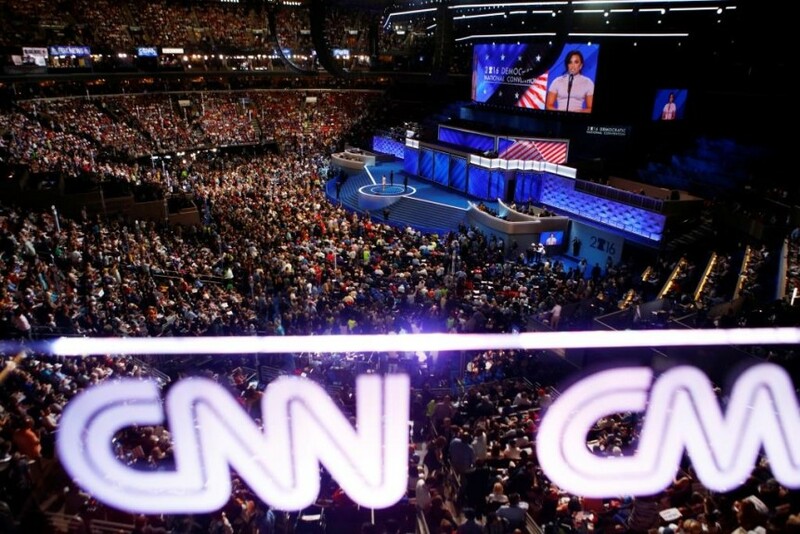 CNN defeated all competition when it came to coverage of the 2016 Democratic National Convention, both in total viewers and in the key news demo. CNN also averaged the largest total viewer and A25-54 audience across both the 2016 DNC and RNC during the 10 p.m. ET coverage block (also includes Fox News, MSNBC, ABC, CBS and NBC). Also of note in July, CNN’s State of the Union with Jake Tapper had its highest ratings ever, Erin Burnett OutFront had its best month, as did Anderson Cooper 360 at 8 p.m. Burnett was able to narrow the gap with 7 p.m. rival Greta Van Susteren to just 3.5 percent in A25-54. CNN was the top-rated cable news network in July in prime time. This was the sixth time in the last 11 months that CNN has beaten Fox News in adults 25-54 in prime time. The last time CNN had that many wins over Fox News in prime time in any 11-month period was 14 years ago. CNN’s win came in a month of major news – the two political conventions, attacks on police in Dallas and Baton Rouge, an attempted coup in Turkey and terror attacks in France and Germany – once again proving that CNN is the clear choice when news happens. July was CNN’s second most-watched month in prime time in eight years and the network is on track to have its most-watched year ever. CNN pulled within 5% percent of Fox for the month in total day demos, the smallest gap (tied with October 2008) between the two networks in over eight years (since February 2008). Among all cable networks, not just news, CNN was the second most-watched in total viewers for the month in prime time and number five among adults 25-54. CNN once again dominated MSNBC, beating MSNBC for the 25th straight month in total viewers and adults 25-54 in total day and in prime time demos. This is the longest winning streak over MSNBC in more than eight years. Of particular note, CNN’s New Day easily topped MSNBC’s Morning Joe for the month, with its biggest advantage over Morning Joe in more than a year. July was New Day’s highest rated month ever, and CNN’s best performance in the morning time period in eight years among total viewers and more than five years in the demos. Also of note in July, CNN’s State of the Union with Jake Tapper had its highest ratings ever, Erin Burnett OutFront had its best month ever as did Anderson Cooper 360 at 8pm. ** Even using the less inclusive Live+SD, CNN beats Fox News to rank #1 across cable news among adults 25-54 in both M-Su Prime (567k vs. 557k) and M-F Prime (683k vs. 669k) in July. 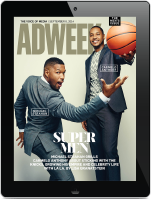 • New Day beat MSNBC’s Morning Joe in July to rank #2 in cable news among adults 25-54 (188k vs. MSNBC’s 163k); with the program posting its biggest monthly demo advantage (+15%) over Joe since June 2015. New Day is up +84% in total viewers and +86% among adults 25-54 since a year ago. CNN is registering its largest monthly 25-54 share (25%) of the cable news morning audience on record. • CNN dayside (9a-4p) programs all ranked #2 in July among total viewers and in the demo with CNN posting a +32% advantage over MSNBC (864k vs. 655k) and a +61% lead in the demo (229k vs. 142k) in the daypart. MSNBC ranked #3. CNN is up +86% in total viewers and +91% in the demo compared to last year. • The Lead with Jake Tapper (4pm) ranked #2 in cable news, easily topping MSNBC in both total viewers (1.084k vs. MSNBC’s 619k) and the demo (272k vs. 120k). The Lead grew +103% in total viewers and +99% in adults 25-54 from a year ago. July was The Lead’s highest month ever in total viewers and the demo. • The Situation Room with Wolf Blitzer (5-7pm) ranked #2 in cable news besting MSNBC in both total viewers (1.181m vs. MSNBC’s 784k) and in the demo (326k vs. 163k). The Situation Room was up in both total viewers (+132%) and in the demo (+115%) vs. a year ago. • CNN beat MSNBC during M-F primetime hours at 7pm, 8pm and 10pm among adults 25-54 for the 25th straight month, the longest streak on record. • CNN narrowed the gap with Fox News in the M-F 7p hours to the smallest on record among adults 25-54 (-1%). • Erin Burnett Outfront (7pm) had its best month ever in both total viewers and adults 25-54. EBOF ranked #2 in total viewers (1.365m), topping MSNBC’s Hardball (1.078m) by +27%. The Burnett-led program also topped Hardball in the key demo (413k vs. MSNBC’s 234k). EBOF was up +168% vs. a year ago in total viewers and +161% in the demo 25-54. CNN at 7pm is posting its best total viewer delivery since September 2005 and best 25-54 performance since November 2008. • Anderson Cooper 360 also had its best month ever in both total viewers and adults 25-54. AC 360 ranked #2 in both total viewers (1.879m) and the demo (572k) easily topping MSNBC’s Chris Hayes (1.077k/251k). AC 360 was the highest-rated CNN primetime news program, growing an impressive +190% in total viewers and +216% in the demo compared to last year. CNN at 8pm is posting its best total viewer delivery since September 2005 and best 25-54 performance since October 2008. • CNN programming at 9pm is up +67% in total viewers and ranks #2 among adults 25-54, up +82% vs. last year. • CNN Tonight with Don Lemon ranked #2 in the demo (369k), topping MSNBC (254k). CNN has now beaten MSNBC at 10pm for the 25th straight month in the important key demo 25-54. The Lemon-led program was up +86% in total viewers and +93% among 25-54 vs. last year. • New Day Saturday ranked #1 at 6am among adults 25-54 and #2 at 7am and 8am hours in total viewers and 25-54, growing double digits every hour. MSNBC ranked 4th and 3rd respectively. • Smerconish (9am) ranked #2 in total viewers (872k vs. MSNBC’s 513k), growing +88% and among 25-54 (250k vs. MSNBC’s 124k), up +94% vs. a year ago. • CNN Newsroom with Fredricka Whitfield ranked either first or second on Saturday afternoons, easily topping MSNBC in both total viewers and in the demo and growing by double digits. • CNN Newsroom with Poppy Harlow also ranked either first or second during the 3-6pm hours in total viewers and the demo, growing double digits in July. • Inside Politics with John King (8-9a) ranked #2 in both total viewers (688k) and the demo (190k). MSNBC ranked 3rd among total viewers and 4th in the demo. The Sunday, 8a hour grew +47% in total viewers and +29% in the demo from last year. • State of the Union with Jake Tapper had its highest rated delivery ever this month. The program ranked #2 on Sundays at 9am increasing +53% in total viewers (789k) and +52% among adults 2554 (221k). SOTU was #2 at noon in both total viewers (1.133m) and among adults 25-54 (306k), growing +107%/+119% respectively. • Fareed Zakaria GPS (10am) ranked #2 in total viewers (945k) up +77%, vs. year ago and in the demo 25-54 (242k) up +67%. At 1pm, GPS was also #2, averaging 969k, up +113% in total viewers vs. year ago, and 225k among adults 25-54, up an impressive +121%. • Reliable Sources with Brian Stelter (11am) ranked #2 in cable news, growing double digits vs. a year ago in total viewers (902k, +92%) and in the demo 25-54 (252k, +117%). CNN saw great success with its coverage of the 2016 Republican and Democratic National Conventions. • More people watched CNN’s coverage of the Republican and Democratic conventions than any other television network (broadcast and cable). CNN beat the broadcast networks (ABC, CBS and NBC) every single night of the two conventions but two nights among total viewers. • CNN averaged the biggest total viewer and adults 25-54 audience across BOTH conventions during the Broadcast Coverage Block (also includes Fox News, MSNBC, ABC, CBS and NBC). • CNN reached the most total viewers in cable news across BOTH conventions in total day (6a-6a) and sales prime (7p-3a). • Declassified: Untold Stories of American Spies Season 1 to-date (6/19-7/10/16): Ranks #1 across cable news in its time period among adults 25-54. • The Hunt with John Walsh Season 3 to-date (6/19-7/10/16): Ranks #2 across cable news in its time period among both total viewers and adults 25-54.